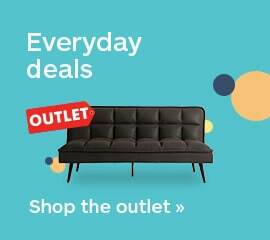 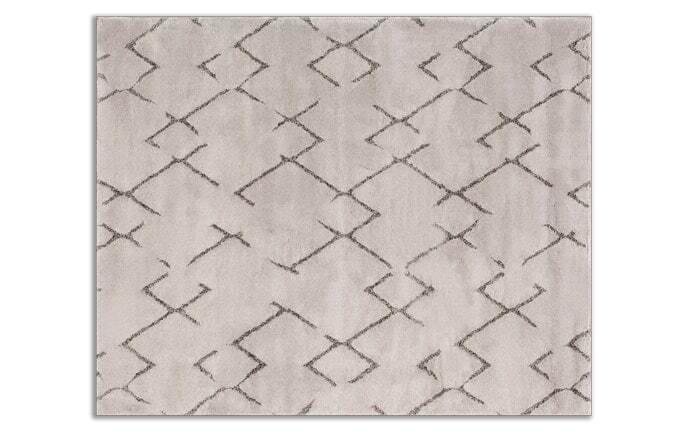 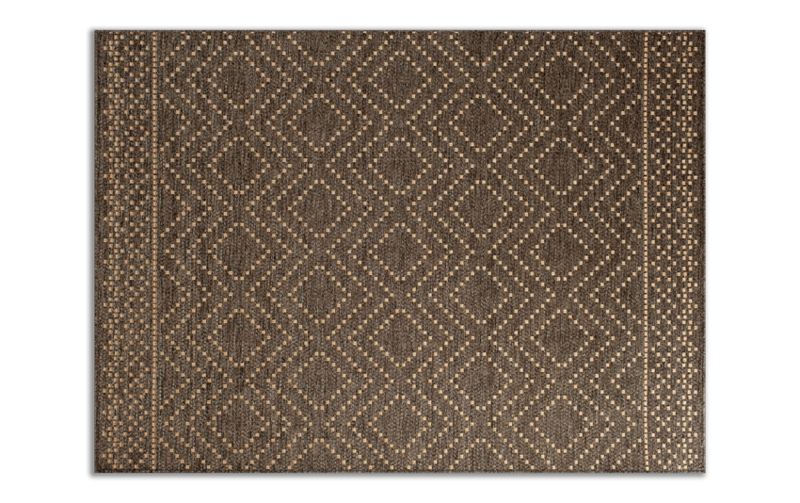 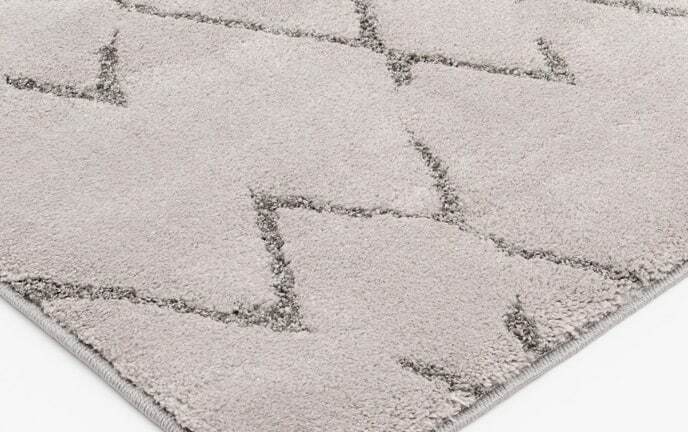 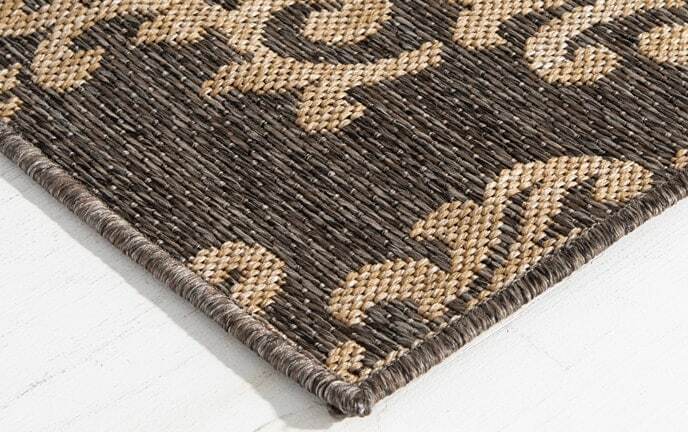 You'll fall in love with the tribal look of my Mykonos Rug! 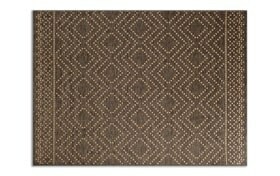 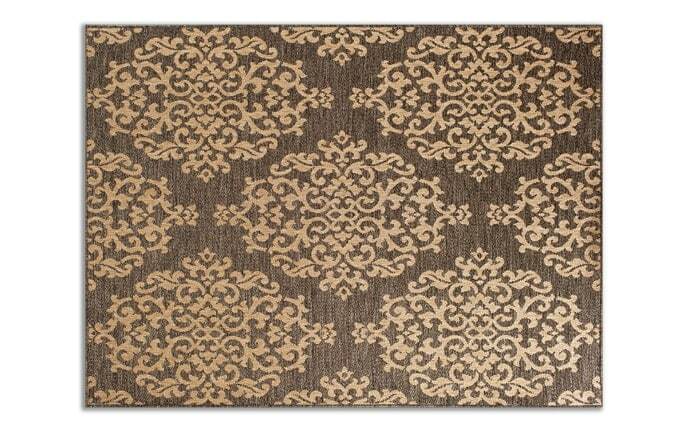 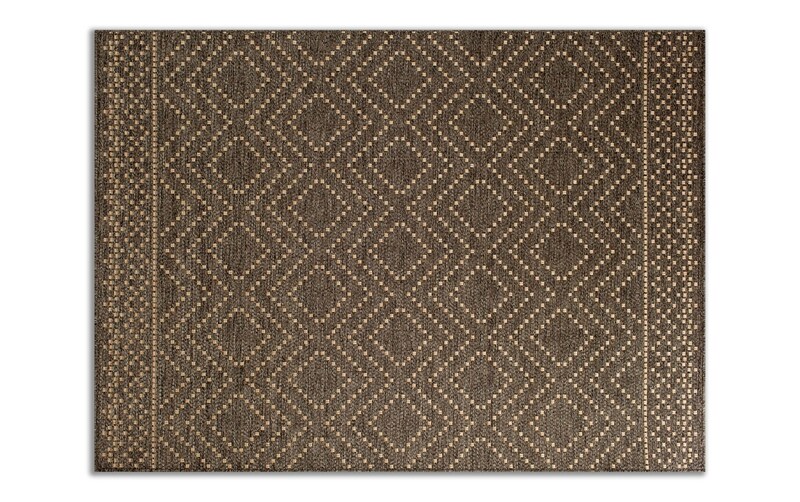 This traditional style rug contains a two toned geometric design in brown and beige. 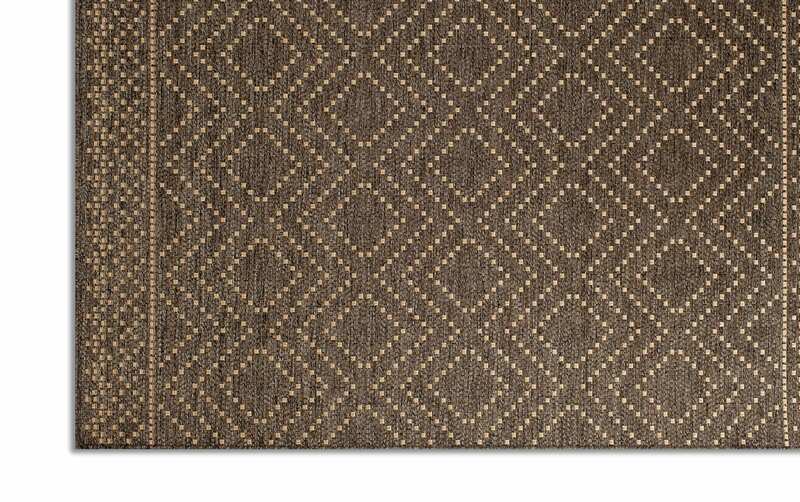 The funky borders on two sides give it just a little bit of that tribal flair!